Freedom, speed, excitement… That’s just a few of reasons why people get hooked on skiing or snowboarding. If you want to improve your basic techniques in your holidays, we’ll find a trip with certified instructors that will introduce you to the most up to date ski techniques, safety procedures or freestyle tricks. Call LUEX – and get hooked! Whether you want to try powder skiing in British Columbia, terrain parks in Western Europe, or enjoy the soft, fluffy snow in New Zealand, we offer ski and snowboard trips for every ability level. There’s a common myth out there that backcountry skiing is just for the pros, but with a beginner ski trip you’ll learn that you have the skills to tackle terrain of all types, and beginners skiers and snowboarders have practically unlimited options for their ski trip destinations. Beginner ski trips are suited for those skiers or riders that are new to deep powder skiing, those that have little or no familiarity with backcountry skiing, or those that just want to learn the basics of freestyle or freeriding. During a beginner ski tour, you’ll learn about deep powder skiing techniques, how to kick turn, the important facts about avalanche safety, and even how to read a map and find your way through the backcountry. LUEX’s beginner heli trips are perfect for those skiers and snowboarders that want to experience the thrill of heli skiing, but without the challenging terrain that you might expect. You’ll get away from the lift lines into wide open spaces, but experienced guides and gentle slopes mean our beginner heli trips are suited for even the most novice skiers and riders. We also have several freestyle and freeride trips that are perfectly suited to beginners who want to improve their level and learn some new tricks. Our freestyle and freeride camp packages take riders and skiers that interested in learning how to master terrain parks or drop into a super pipe and over several days, provide the guidance of expert coaches to get you there. Freestyle camps teach you everything from the basics, to the finer points of riding rails, landing jumps and tackling the pipes. Many of our camps also offer video coaching, so you can see for yourself the incredible progress that you’re making. 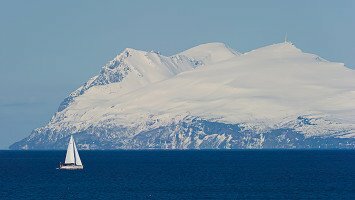 Beginner trips can be found all over the world, from quite a few in Western Europe to a handful in the USA and even a couple in South America. 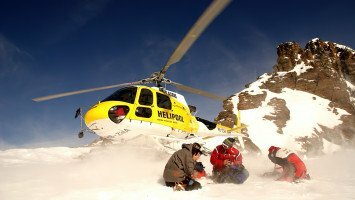 Most beginner trips are suited for skiers and riders that want to improve their freestyle and freeride techniques, but if your dream is to try heliskiing or going on a ski safari, we have something even for you. 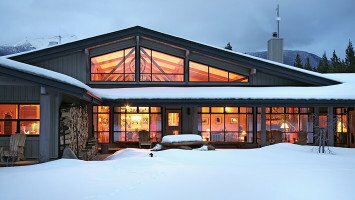 Families, couples, solo travelers, groups, and party people all have choices when it comes to beginners’ trips, and some trips are located at resorts that also offer heliskiing or other trips, making a perfect option for a multi-level group or family to still enjoy a ski trip together. LUEX also has a couple Kids Camps that teach young skiers and riders how to master the hill and the park, and provide families a great alternative to the usual summer camp. Most of our beginners trips fall into the budget to medium price range which is a great choice for families or those that are new to the sport to test it out for an affordable price, although we also offer a handful of luxury trips so you can count on relaxing in the most comfortable of accommodations after a hard day learning new techniques. 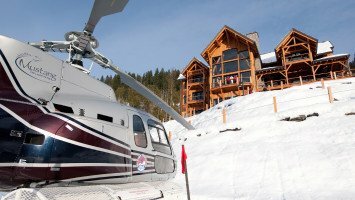 With more than 30 beginner trips to choose from, there’s something for everyone, but some of our most popular trips are the Bighorn Heli Lodge trip at Revelstoke in British Columbia, Arlberg Freeride Lodge and Montafon Freeride Lodge in Austria, and Pook Heli Lodge and Parom Camps , both in France. 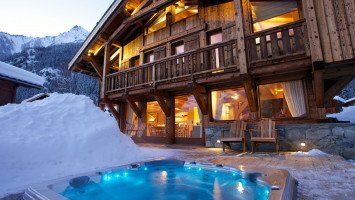 Are you ready to taking your skiing or snowboarding to the next level? Do you have dreams of deep powder and endless snowfields? Let LUEX help you pick the perfect beginner trip and we’ll help you make your dreams come true!